Mount Polley mine: Could it happen in Clayoquot? » Friends Of Clayoquot Sound Mount Polley mine: Could it happen in Clayoquot? Mount Polley mine: Could it happen in Clayoquot? An environmental disaster is unfolding at Imperial Metals’ Mount Polley copper-gold mine, located about 100 km northeast of Williams Lake in BC’s interior. On 4 Aug., an earthen dam that enclosed a tailings pond gave way, releasing about 10 million cubic metres of toxic mine effluent into the Quesnel River system. Effluent from copper-gold mining can contain harmful heavy metals, and chemicals such as arsenic, mercury and sulphur. A complete ban on water consumption, cooking and swimming has been issued for the entire Quesnel and Cariboo River systems, right up to the Fraser River. The toxic spill occurred just as 1.3 million sockeye salmon are returning to spawn in the Quesnel system, one of the richest rearing habitats for salmon in BC. Imperial Metals is the same company that is considering building two mines in the Clayoquot Sound UNESCO Biosphere Reserve – an open-pit copper mine on Catface Mountain, and a gold mine at its Fandora claim in Tranquil Valley. A 2003 technical report for a potential Catface Mountain mine proposed a tailings pond in the adjacent lowlands that lie between the ocean and salmon-bearing Cypre River. The report envisions a tailings pond 2 square km in size, encircled by a 50- to 80-metre-high earthen dam. Clayoquot Sound, being a coastal temperate rainforest, receives much more rain than BC’s interior and is also at risk for earthquakes and tsunamis. The potential for a tailings pond to overflow or a tailings dam to rupture is real here. Such an even would wreak havoc on terrestrial and marine ecology, as well as disrupting Clayoquot’s tourism economy. The catastrophe at Mount Polley serves to reinforce local opposition to mining, which is already strong. Tla-o-qui-aht First Nations are calling for no mining in their territories, and Tofino municipal council and the Tofino Chamber of Commerce have voiced opposition to mines here. Read the most recent join Tla-o-qui-aht/FOCS press release here. 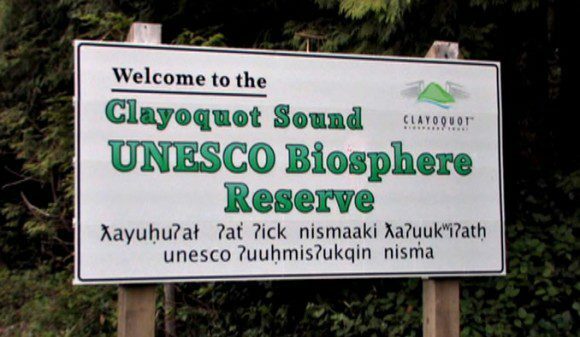 Clearly, Clayoquot Sound is no place for mining. It’s time the BC government recognized that and banned all mining activity here. Aug. 6, Global — A closer look at Imperial Metals Corp.